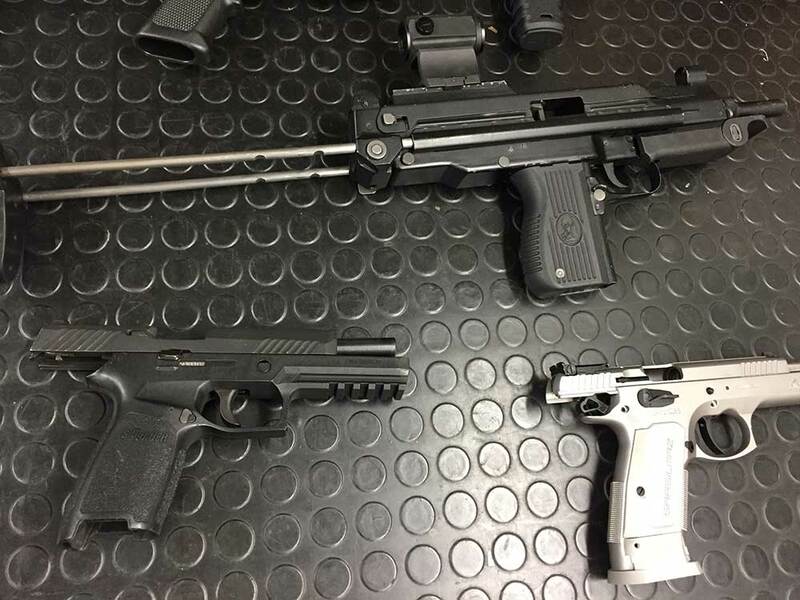 You want your gun to remain a reliable machine right? Well, it won’t stay that way unless you keep it properly maintained which includes cleaning it on a regular basis. While the actual cleaning of your gun is a fairly simple chore, it definitely helps when you use the right equipment. Here’s a quick rundown of the items you need to clean your firearm, whether it’s a handgun, rifle or shotgun. It’s important to remember that using a cleaning rod can actually damage the barrel of your gun if it’s not used correctly. The slightest ding on the crown can impact the accuracy of a rifle or handgun. This is why you should try to use a cleaning rod made of a material that is softer than the steel of the barrel such as the carbon fiber rods made by Tipton. The large handle gives you grip and leverage, while the carbon fiber rod won’t damage the bore. These are the little attachments that go on the end of your cleaning rod to hold a cleaning patch while you push the rod through the bore. All you have to do is stab the middle of a cleaning patch and push it through the barrel. The point keeps the patch in place as you push it through. Consider this jag by Tipton as its patented protective process shields it from bore solvents for a long life and improved cleaning. You will need to run a clean patch through the bore with each and every pass of the cleaning rod. Reusing a dirty one will only swirl the dirt around. Consider purchasing patches like these from Hoppe’s since they are inexpensive and they are available in bulk. This item is as simple as it sounds, but be sure to pick a brush that will not damage the inside of your barrel. Bronze brushes tend to work well or brushes made of nylon for lighter duty cleaning. 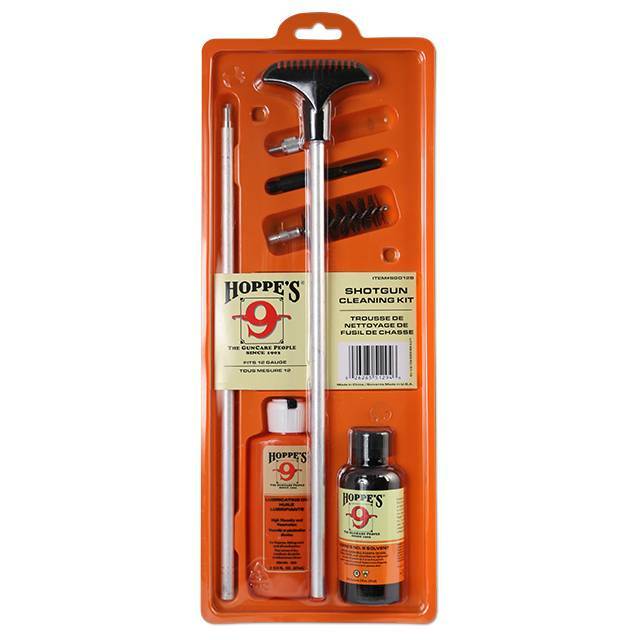 This brush set from Hoppe’s includes a cleaning swab, tornado brush and a phosphor bronze brush in matching caliber or gauge. Solvent – this fluid removes carbon, lead, and other fouling from the bore. Degreaser – this fluid removes existing dirt and oil from the moving parts of a gun, creating a fresh, clean surface for the application of a lubricant. Lubricant – this fluid obviously lubricates parts and provides protection against rust. Protectant – this is used to repel water, preventing rust and corrosion. Yes, you can use an old toothbrush from your bathroom. However, a brush that’s designed for use on guns, such as this one, is designed to reach all the nooks and crannies making it perfect for cleaning out slide grooves and trigger parts. A universal bore guide isn’t a necessity when it comes to cleaning your gun but it can help you in two ways. First of all, it keeps the cleaning rod centered in a rifle’s bore to help prevent damage to the rifling. Secondly, it prevents bore cleaning solvents from dripping into the receiver of your rifle. Of course, if you really want to keep things simple you should consider getting a complete gun cleaning kit for any specific caliber. Or, better yet, get a multi-caliber kit that covers handguns, rifles and shotguns. No matter what kind of gun cleaning item you are looking for, you can count on Triggers and Bows to have just what you need. Visit us today at 340 Bishopsgate Road in Burford, or check out our products online.